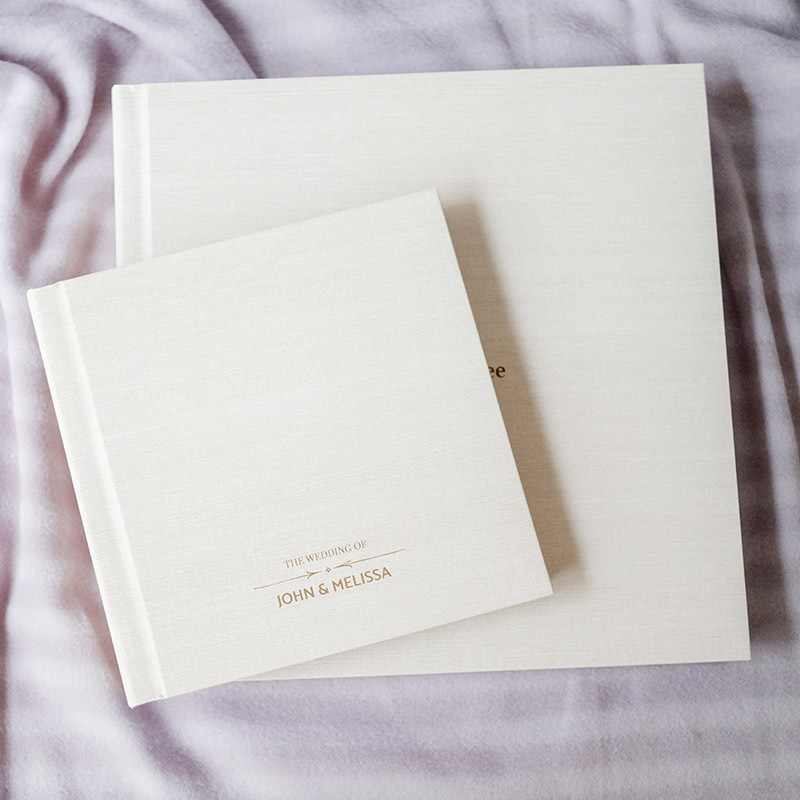 Capture your happiest and memorable moments in a wedding album to mark a new chapter of life together with your better half. It is a day you will want to remember and relive again and again throughout your life. Get your beautiful pre-wedding photos a new house. 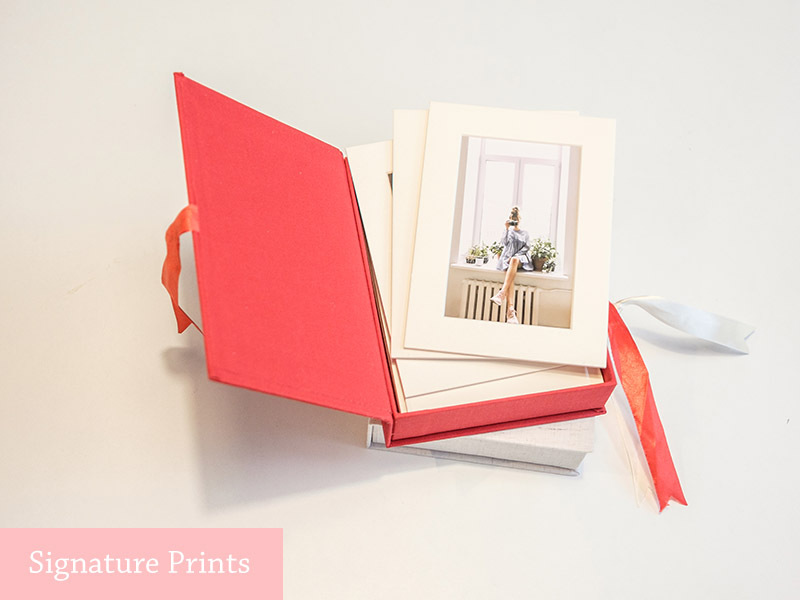 Our luxury Flush Mount Album is perfect for you to showcase your most beautiful images. 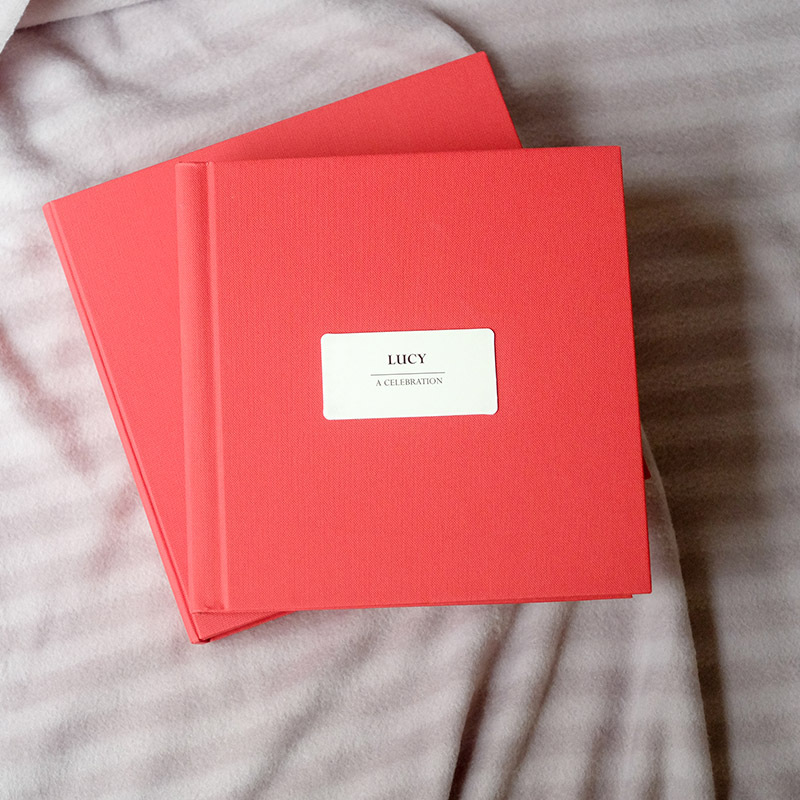 Board-mounted non-bending pages which lie perfectly flat, with archival qualities. 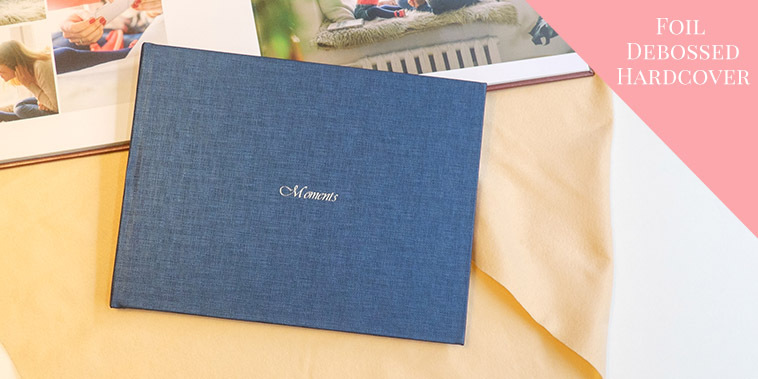 Our Flush Mount Album offers you a luxurious heirloom album that will last for years to come. 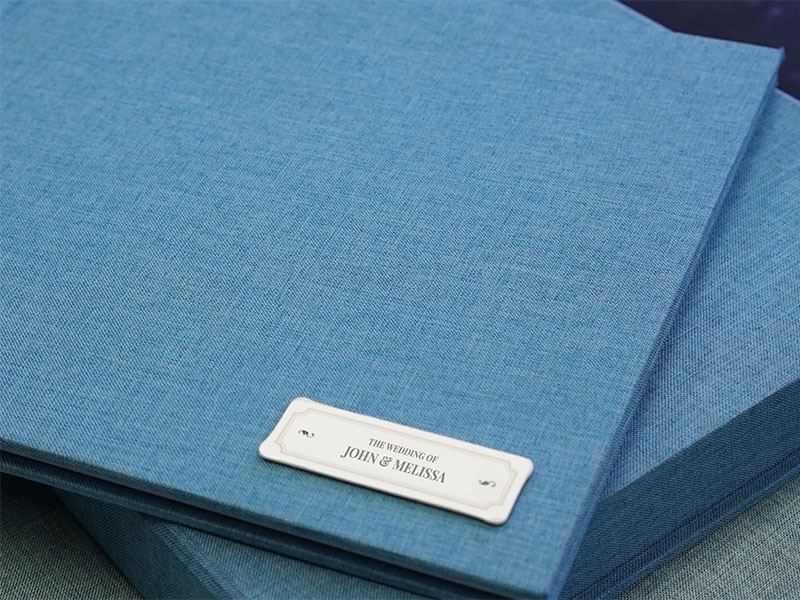 Our flush mount album offers a wide range of cover styles selection that is sure to impress. 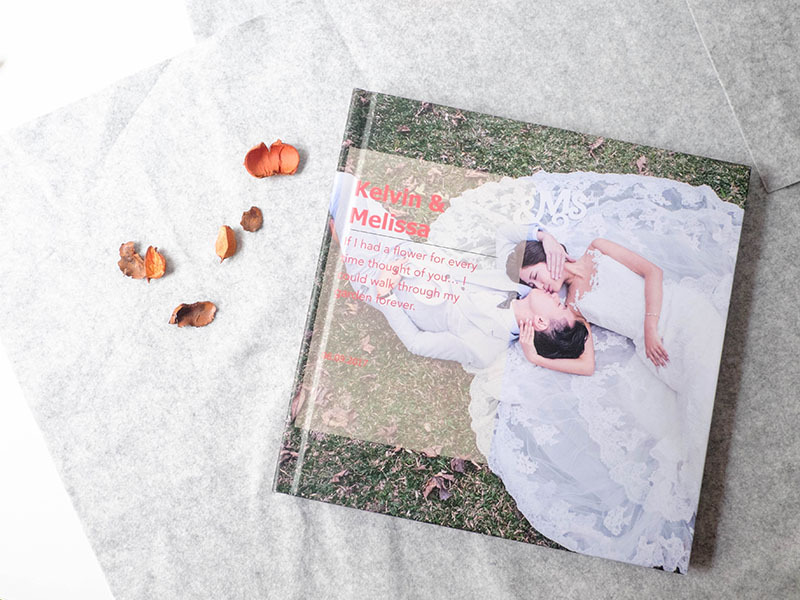 The cover choices include Imagewrap, acrylic, or material cover with animal-friendly eco-friendly leather, luxe linen or beautiful fabric. We believe you can find one of your love. Imagewrap cover features your photo or artwork wrapped around the outside of the cover. Available with matte or glossy finish. 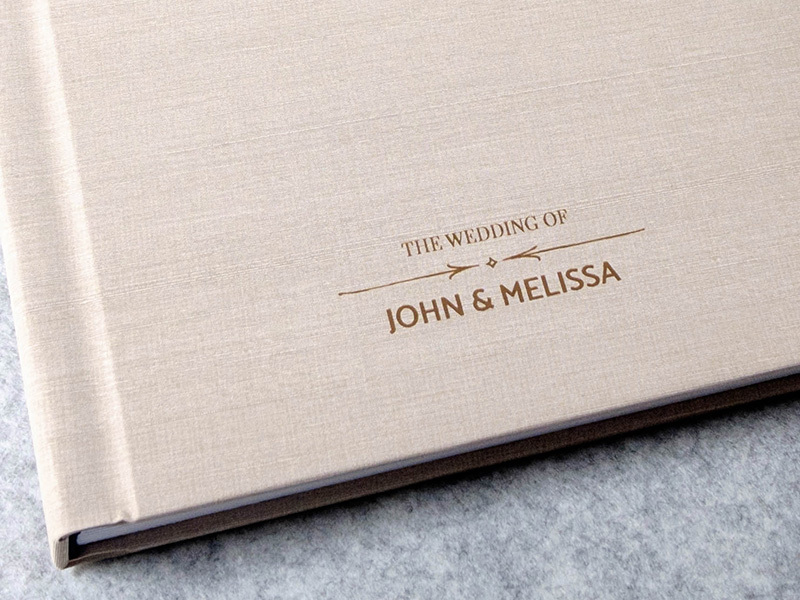 Personalised your cover with engraved your own custom artwork or name on the material cover. Choose one of our wide range of cover material for a timeless and refined look. Your cover image showcased under a clear acrylic. 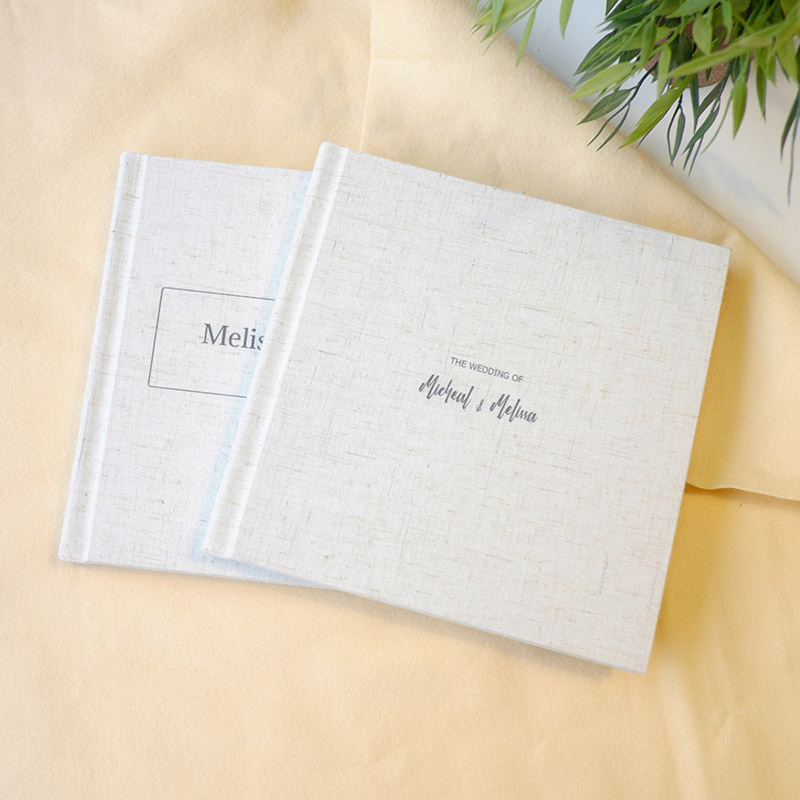 This substantial feel of the cover give your album a refined touch as well as extra protection for your cover image. 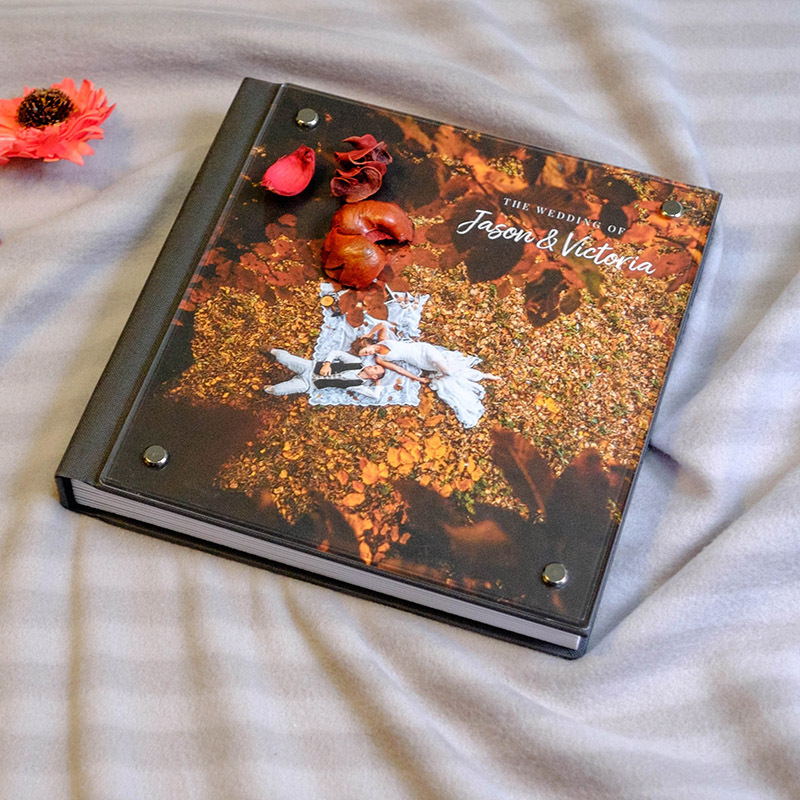 The back and spine of the album is your choice of one of our wide range of cover material. 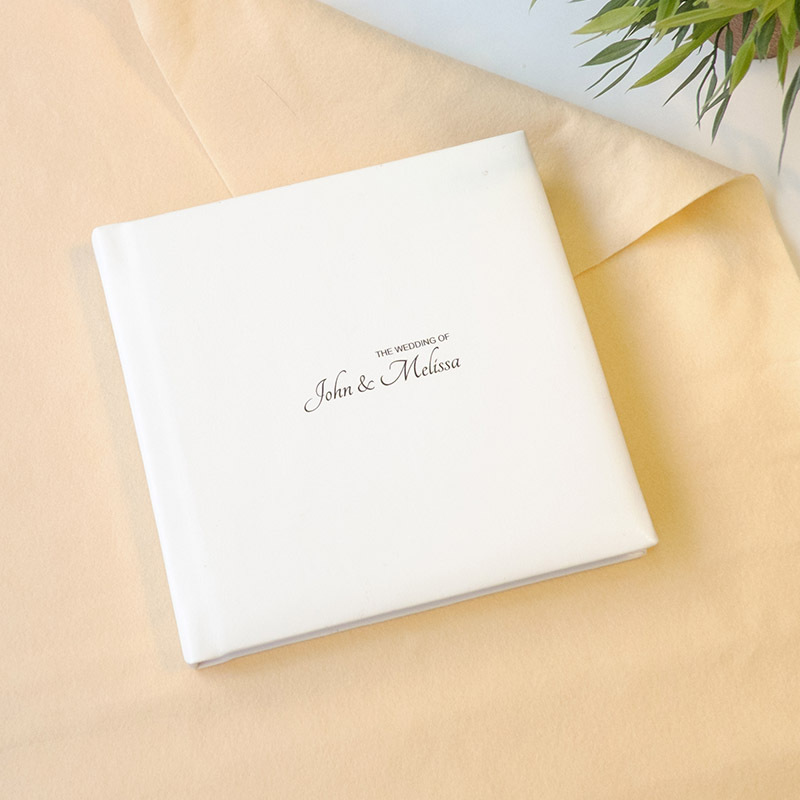 This Material Cover album is elegant and timeless with the added touch of a cameo photo insert on the front of the padded cover. 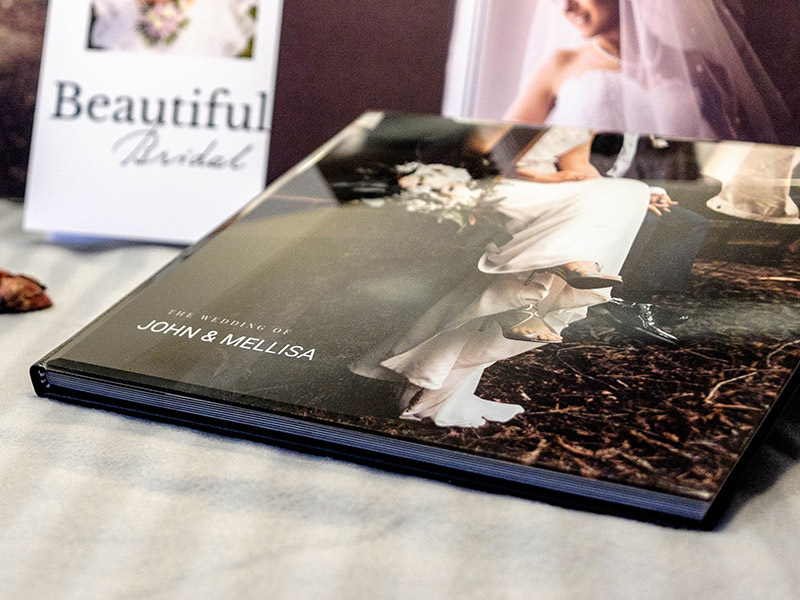 The photo showcased under a crystal clear acrylic added the beauty of this premium photo album. 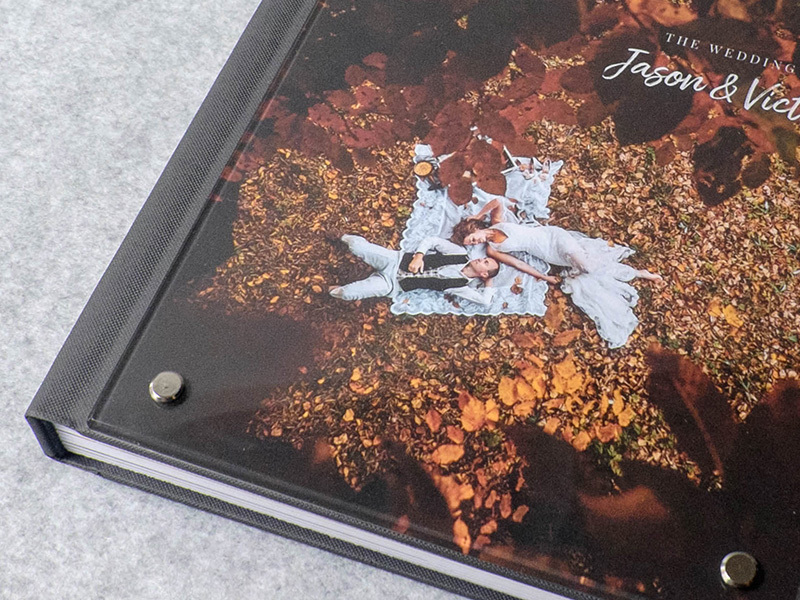 The album cover is mounted with crystal glass and the content is printed on beautiful weighty boards which lie perfectly flat allowing you to display your images seamlessly. 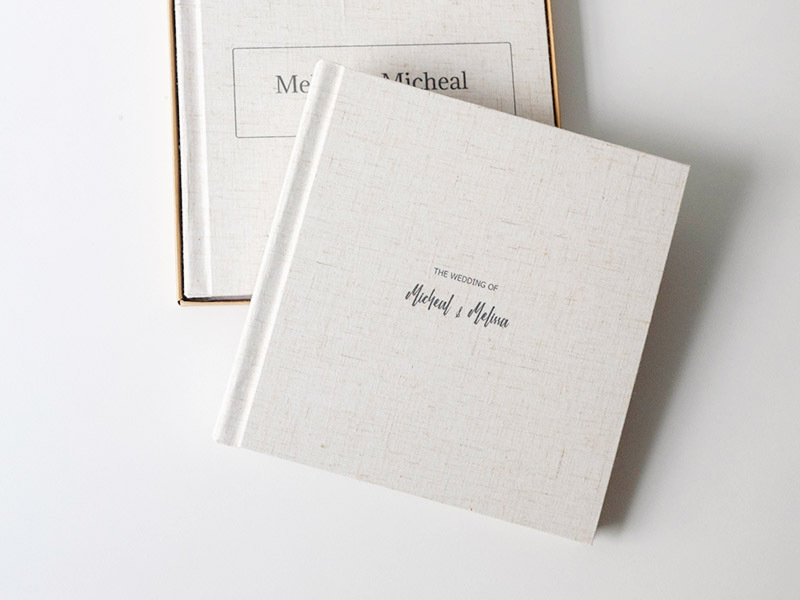 It is a personal and unique gift idea and a great way to preserve your memories. Your artwork is printed directly on the fabric cover (various type of fabric options) using the ink print technique. You may choose your own color for your artwork. 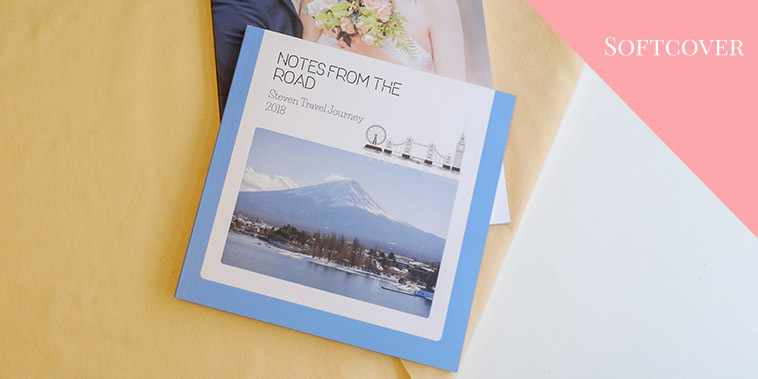 Your artwork is printed directly on the pure white PU leather cover using the ink print technique. You may choose your own color for your artwork. 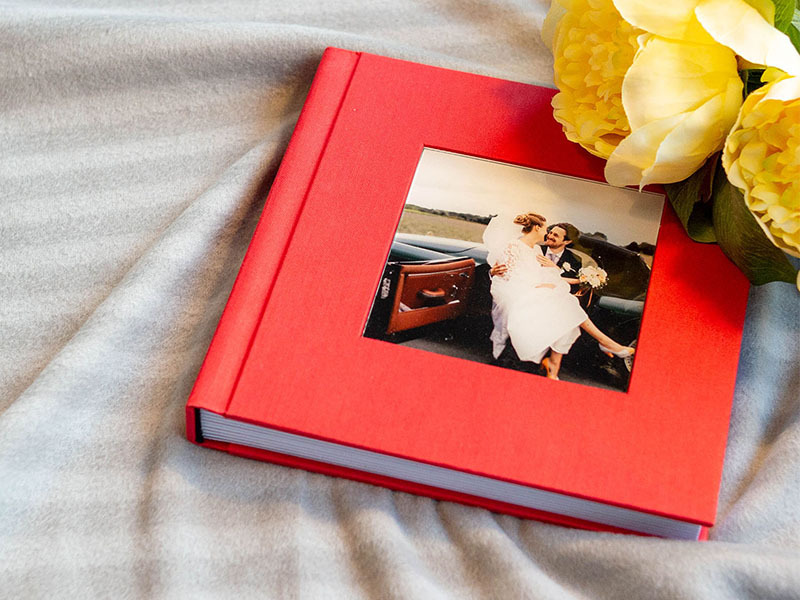 Display your favorite memories in a physical wedding photo book, make your wedding photo book as personal as your wedding. 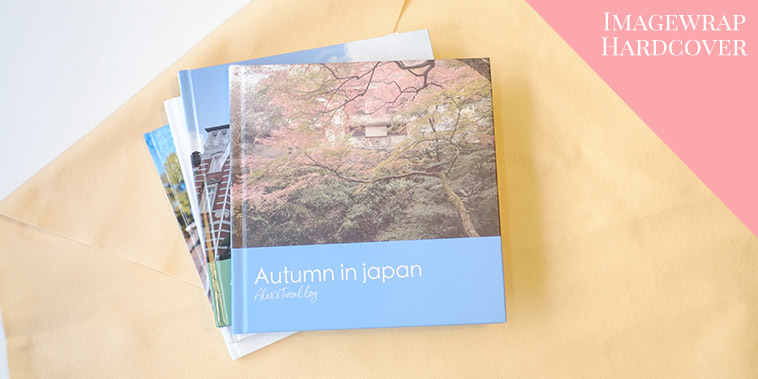 Try our photo book that lets you choose everything, from the paper to the cover. 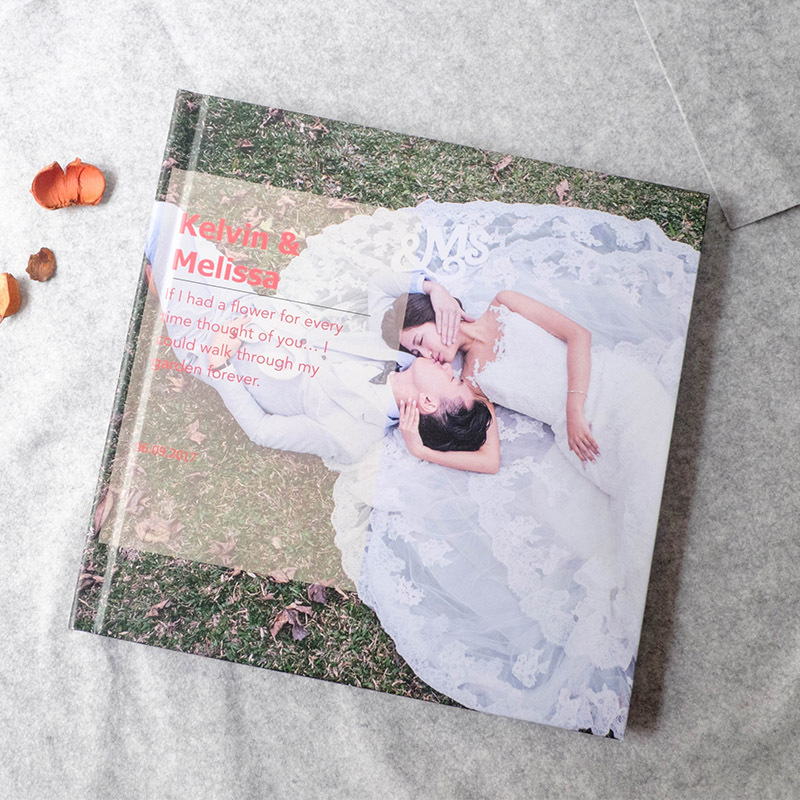 We offer three types of cover options for photo book - Imagewrap Hardcover, Foil Debossed Hardcover or Softcover. 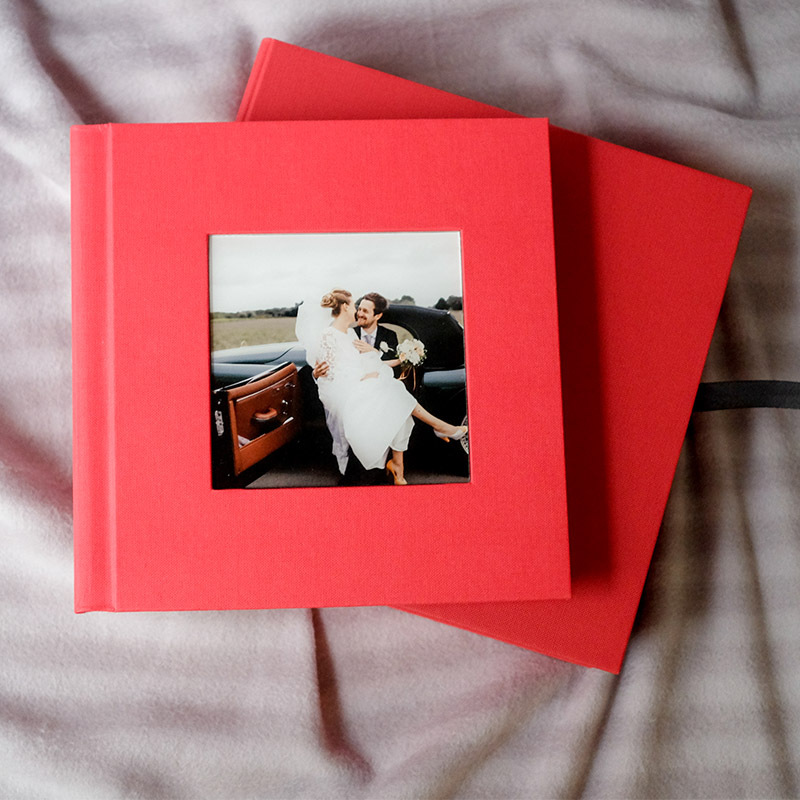 Create your photobook in Lay-Flat or perfect-bound. Start from 40 pages, option to add up to 200 pages. It has a big room to store all your wedding memories. 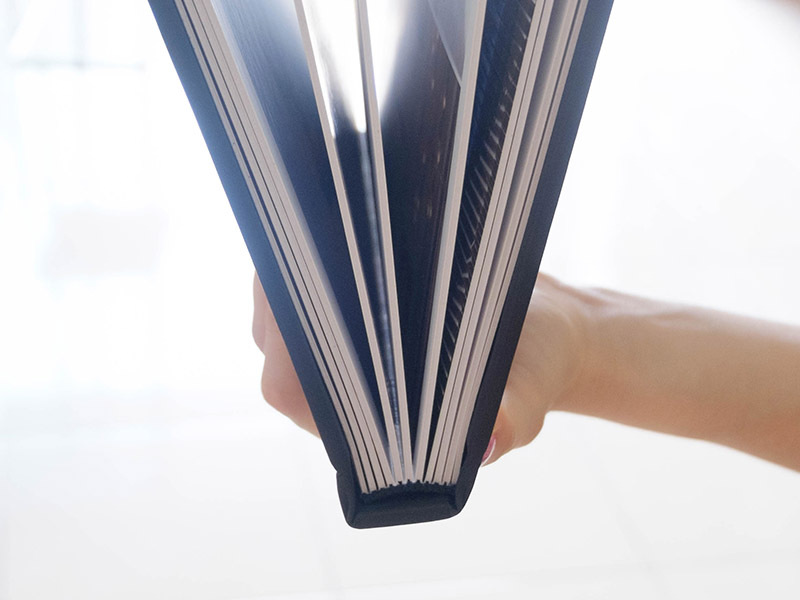 Layflat photobook can open totally flat without interuption on middle of the book. 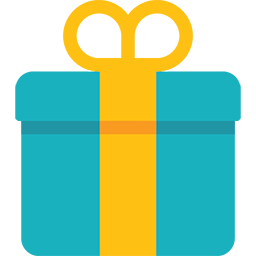 This makes them ideal for pages spreads (where an image prints across tow facing pages). 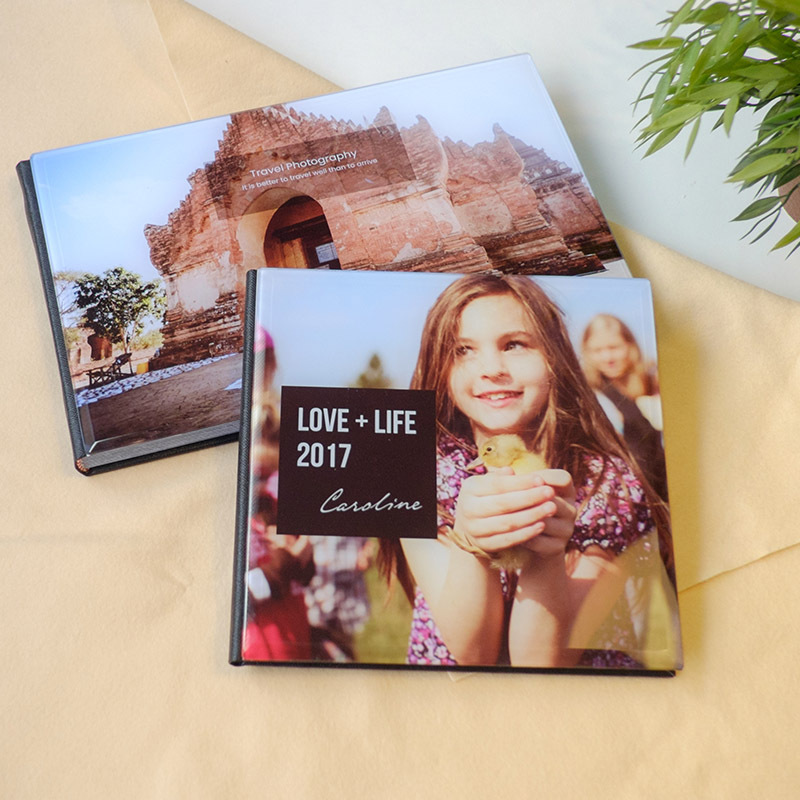 Design your photo album layout and share your ideas with your loved ones to create a masterpiece together. Showcase your beautiful album to share with your family and friends. Don't have time to do it? Let our team of experienced album design professionals do the job for you! 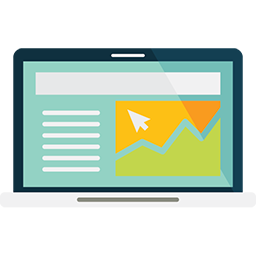 A design fee applies for the professional design service. 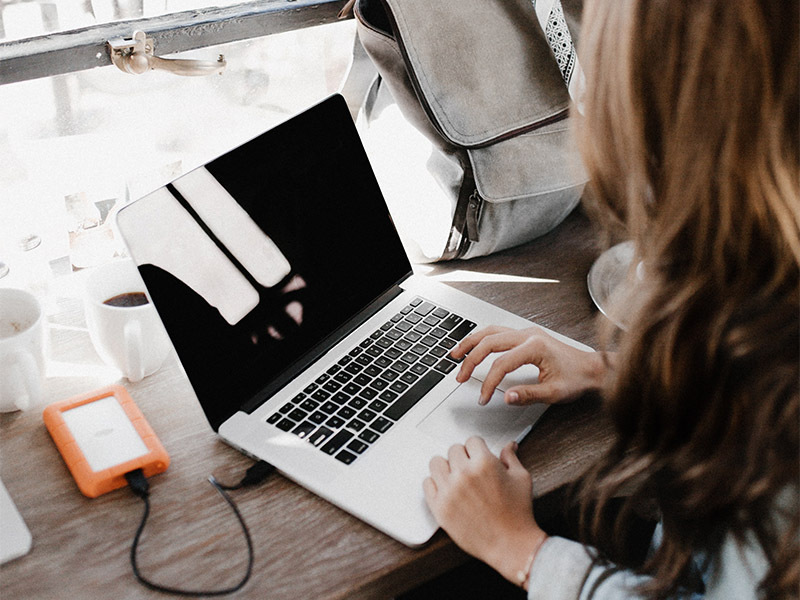 You have your design ready? 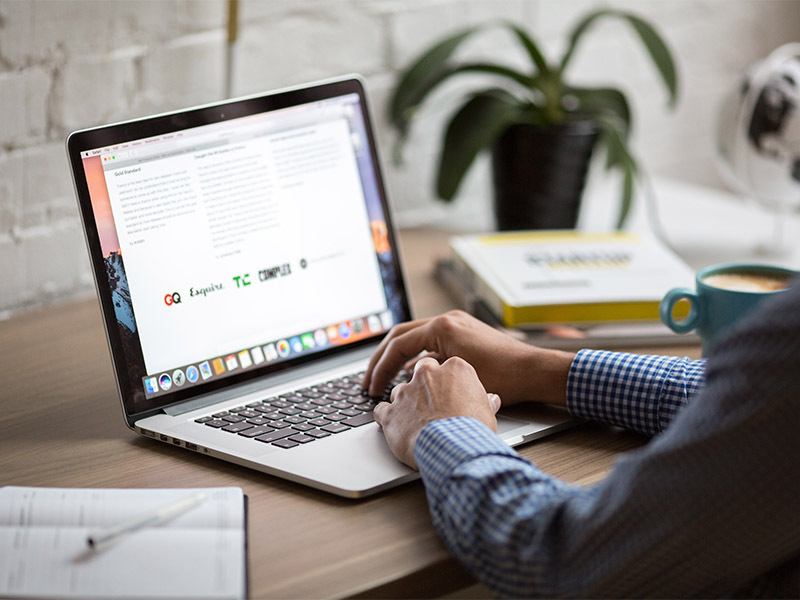 Let us print for you. 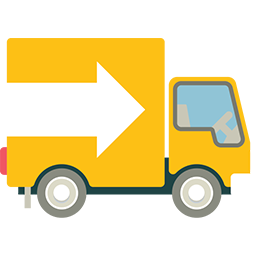 We accept your ready artwork in PDF & JPG format. 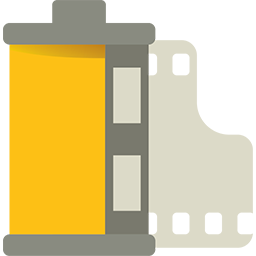 Contact us, let us learn more about your artwork format. There are still other items that you can add to your collection. 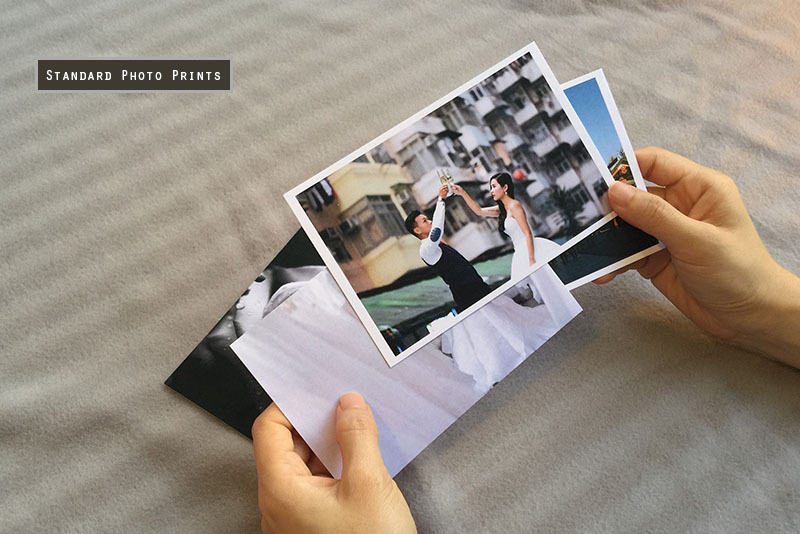 Print your beautiful pre-wedding photos and give it to your family and friends. Share your beautiful moments with your loved ones. 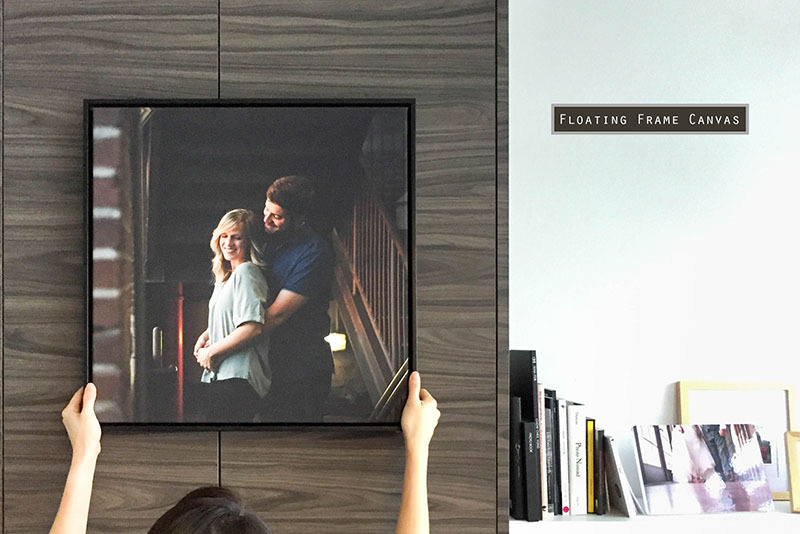 Turn your favorite high-resolution wedding photos into a high-quality piece of wall art. 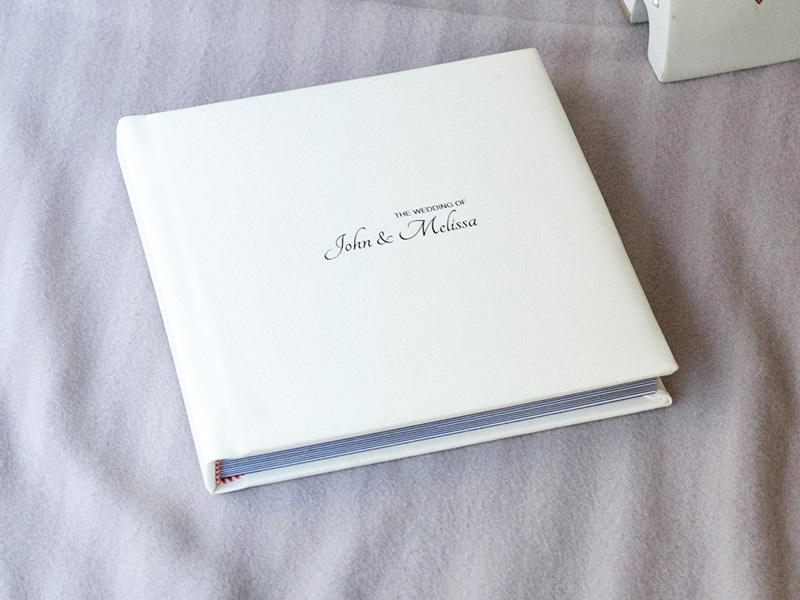 You can add the couple's names, date of the wedding, location, or any other information you like.